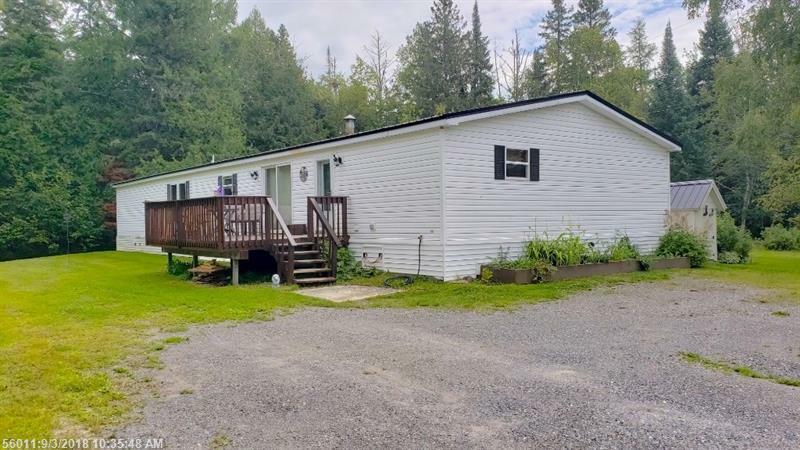 Peace and quiet on 3.73 acres is what you get with this property. A 2128 square foot, 4 bedroom and 2 and a half bathroom double wide will provide plenty of living space. A must have mudroom has the washer and dryer area with a half bathroom. From there, you enter a huge, open concept living area. Large kitchen and dining area make for a great space for entertaining. The living room is large as well with an additional space to use for whatever you'd like. The master bedroom has a large full bathroom with tub and shower. The 3 other bedrooms are at the other end of the home, and a full bathroom as well. The oil tank is located outside, it's in an insulated shed and the supply line is insulated so you can us #2 heating oil instead of kerosene. Oh, did I mention you have your own pond on the property? New flooring in 2013 and 2018 and the skirting all around the home is insulated. New furnace and tie downs in February 2019!